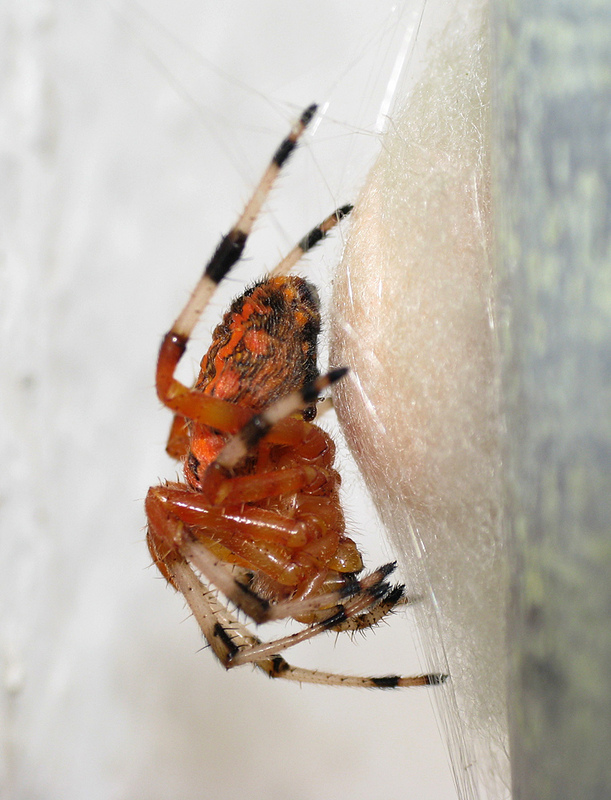 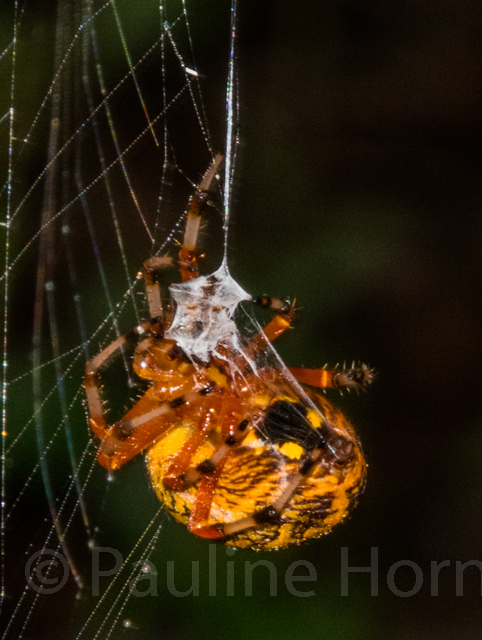 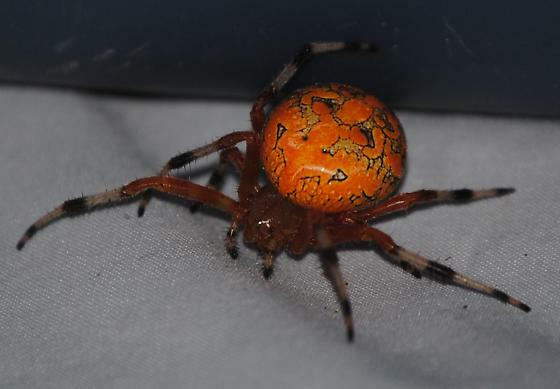 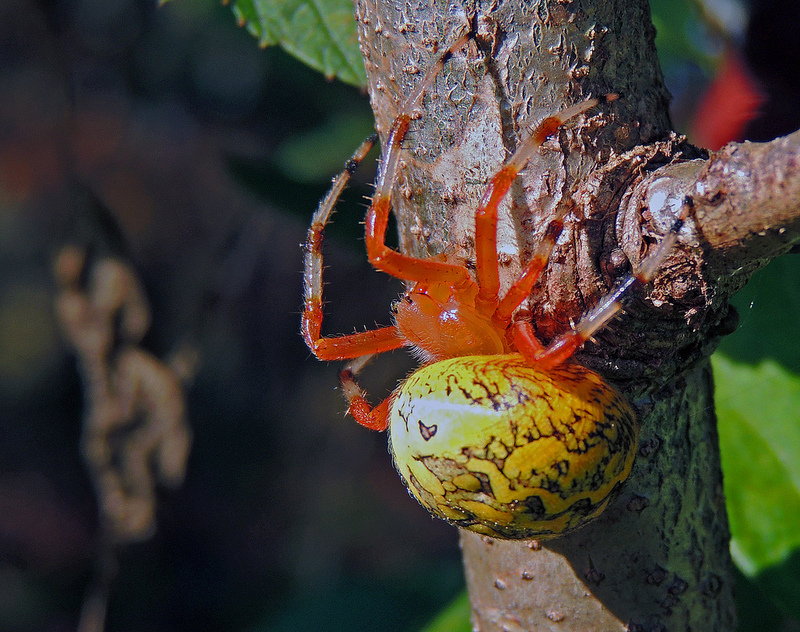 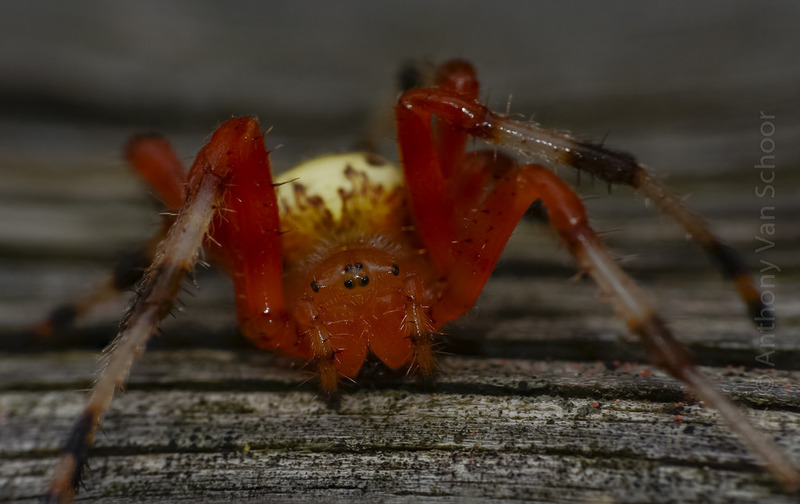 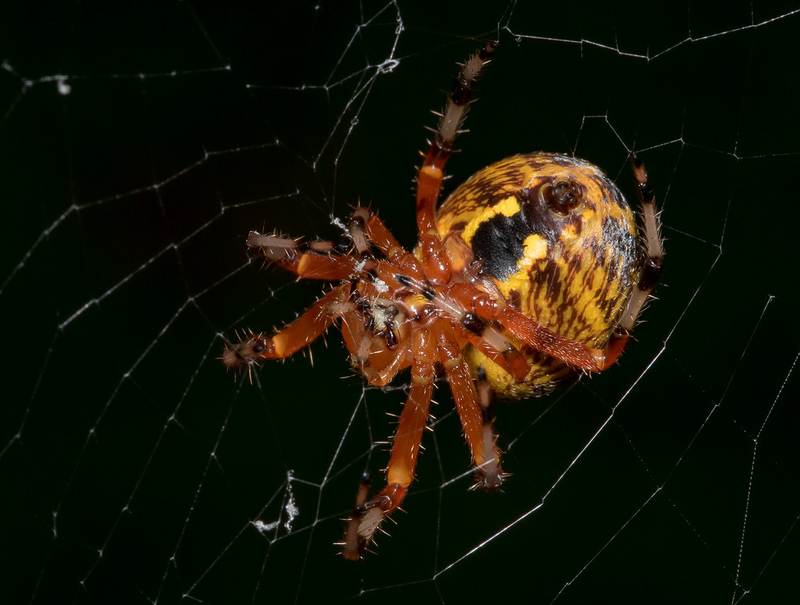 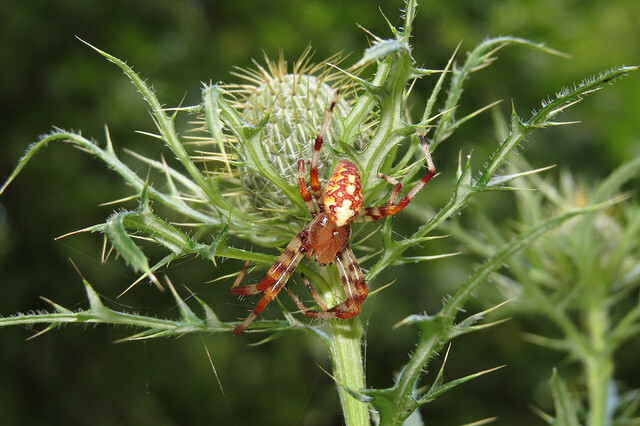 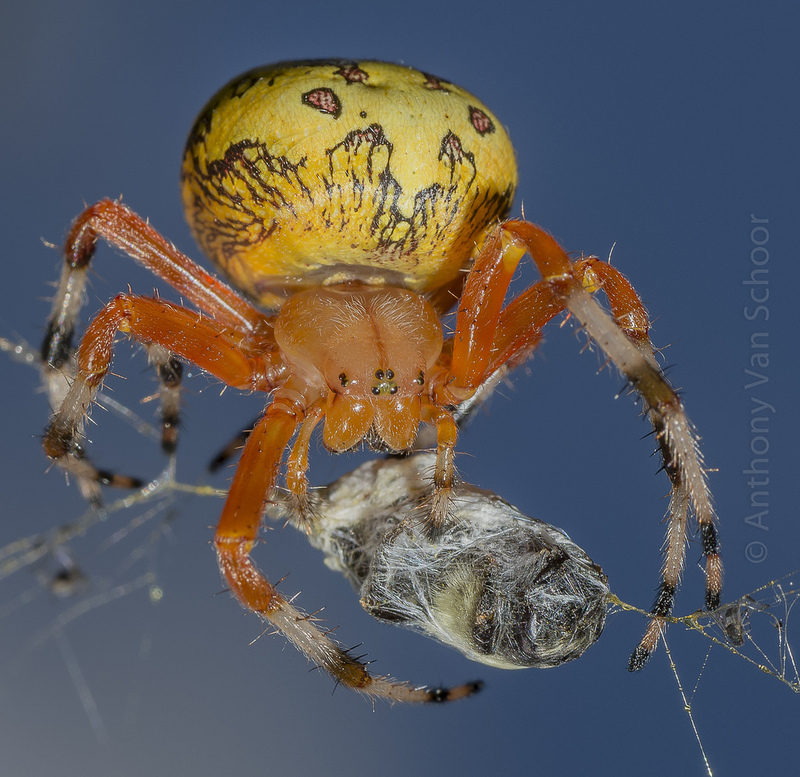 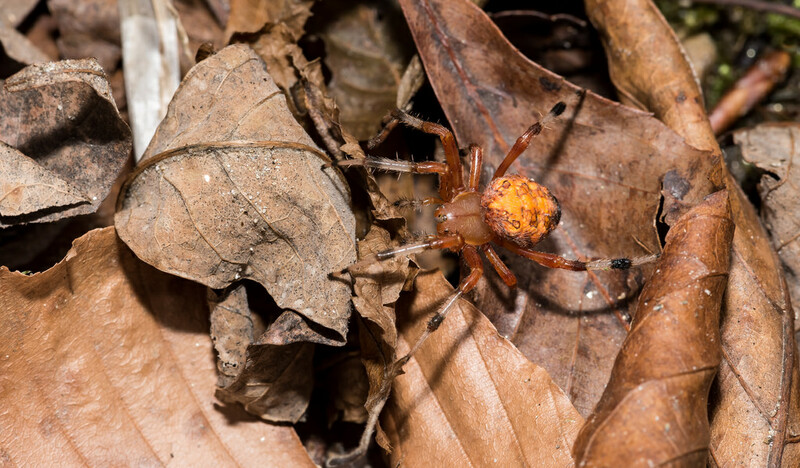 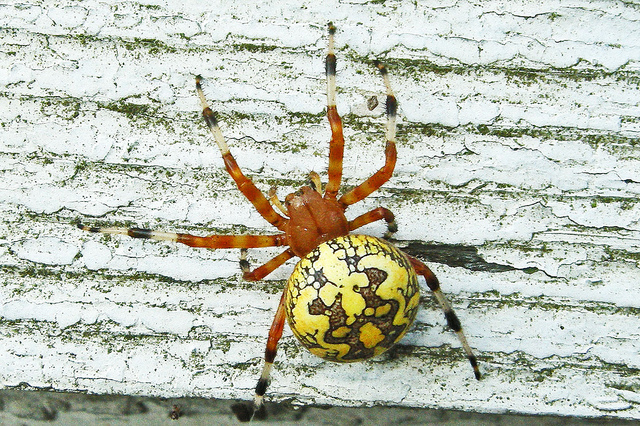 Marbled Orbweaver Araneus marmoreus Synonyms: Araneus raji, Halloween Spider, Pumpkin Spider. 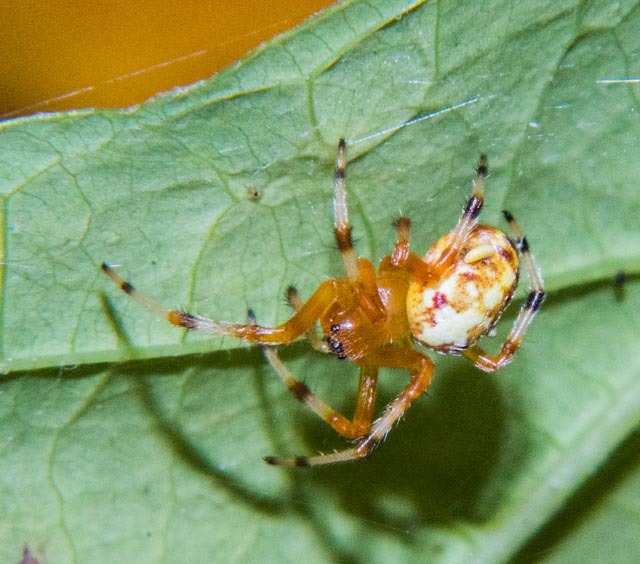 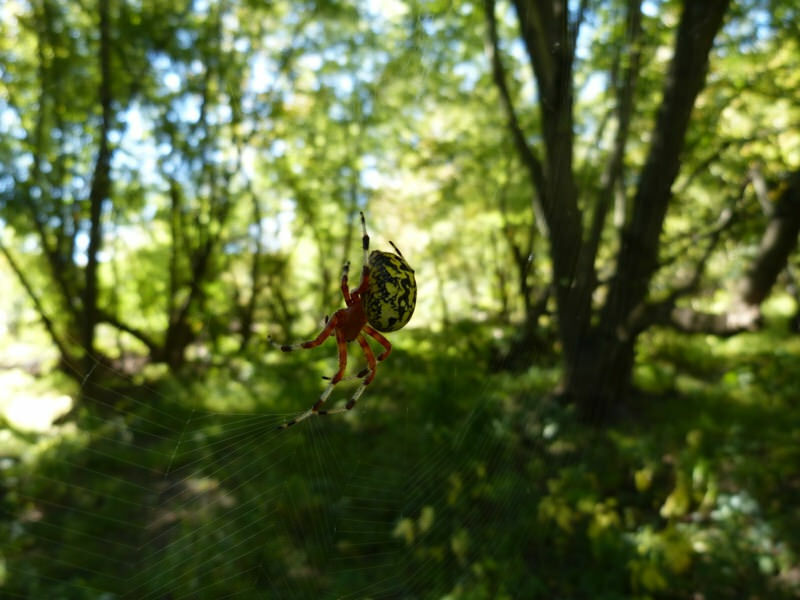 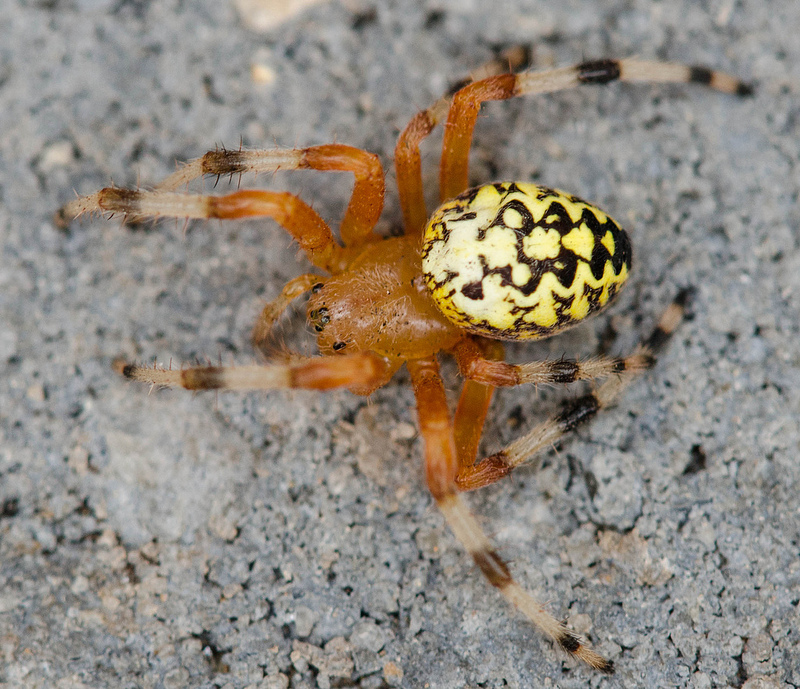 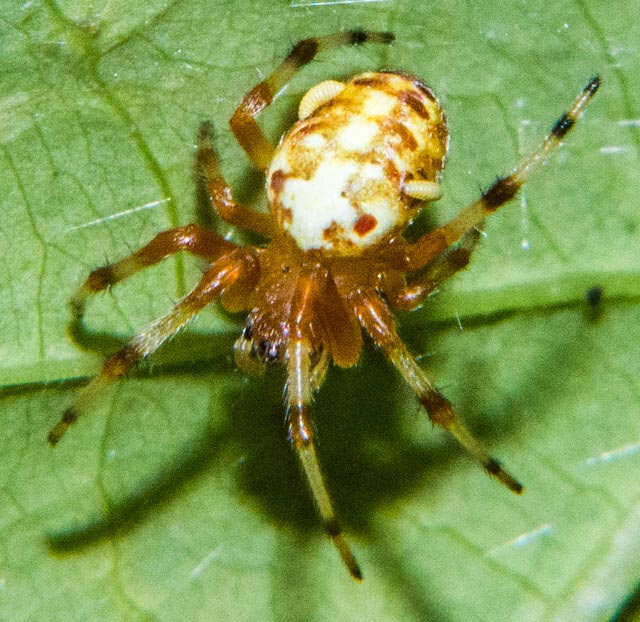 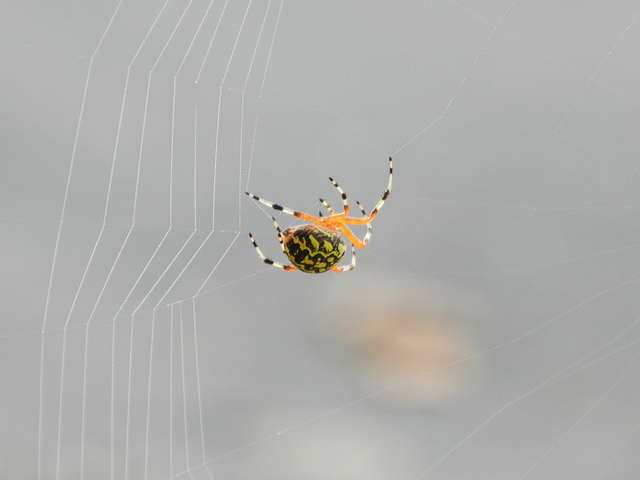 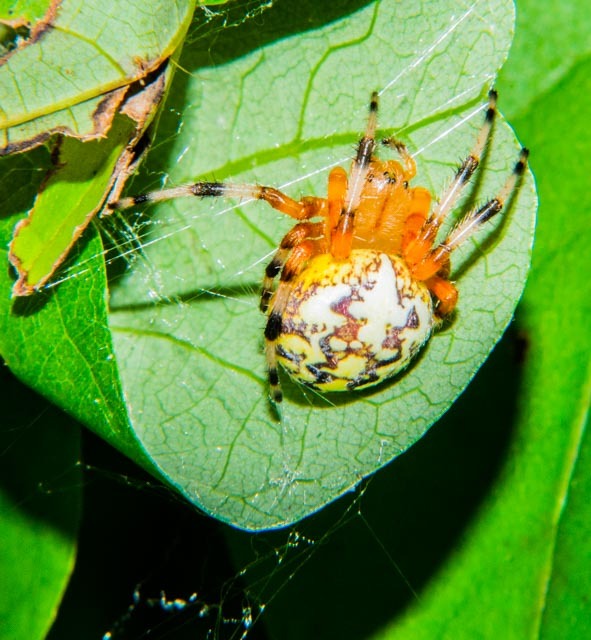 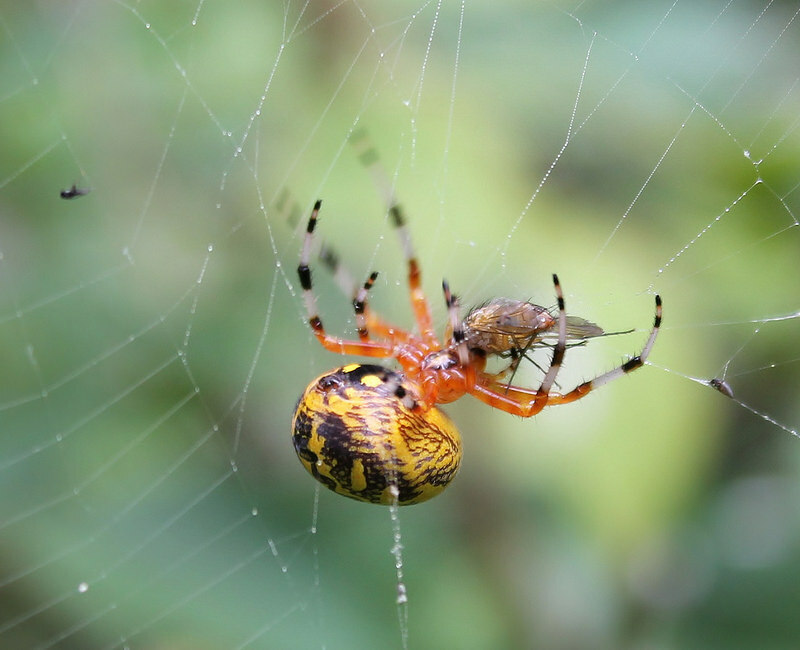 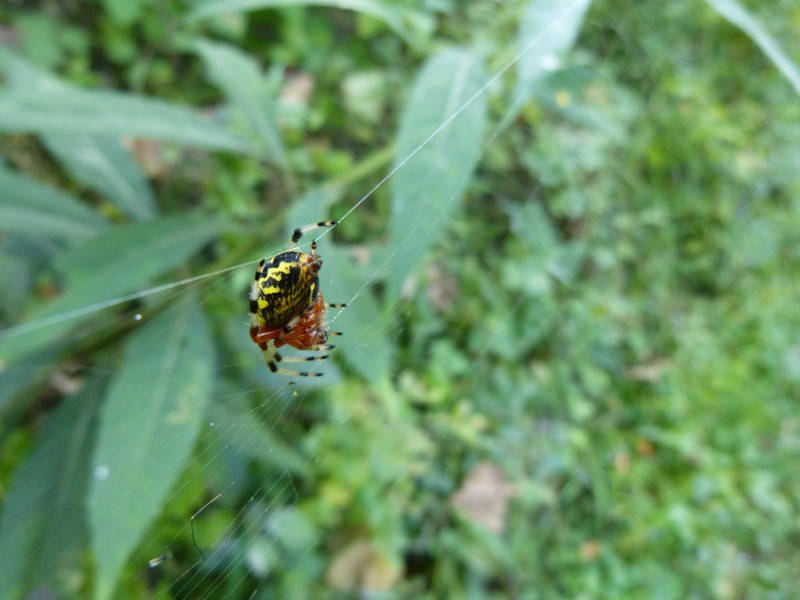 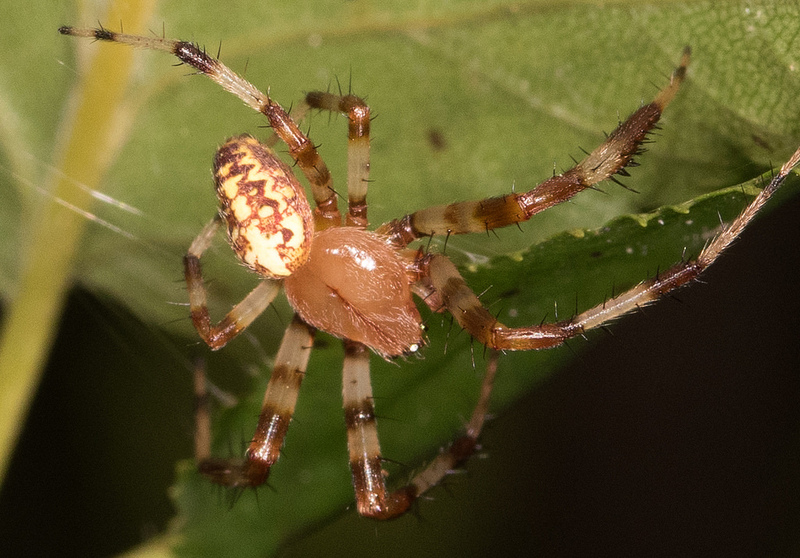 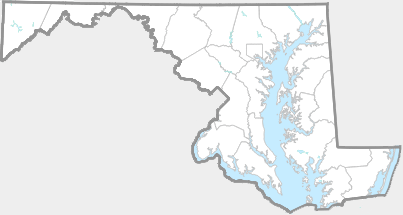 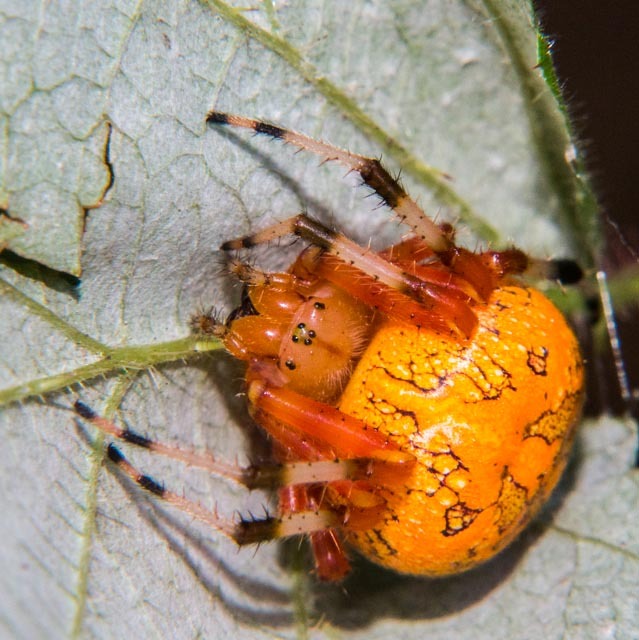 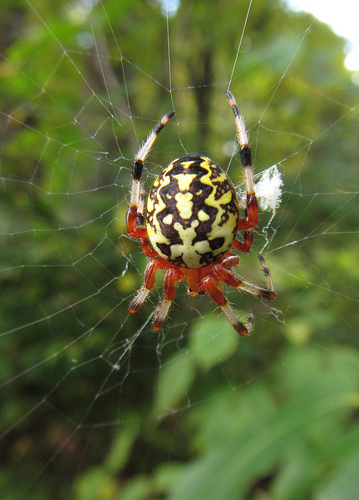 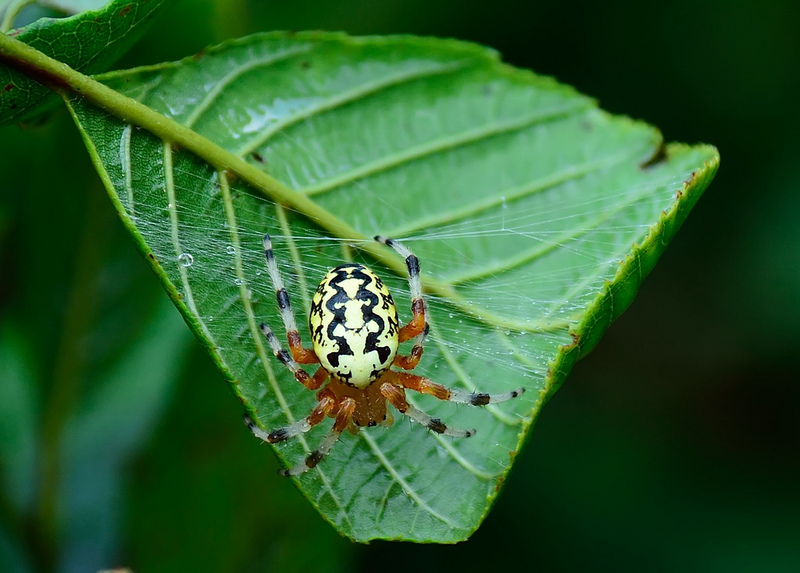 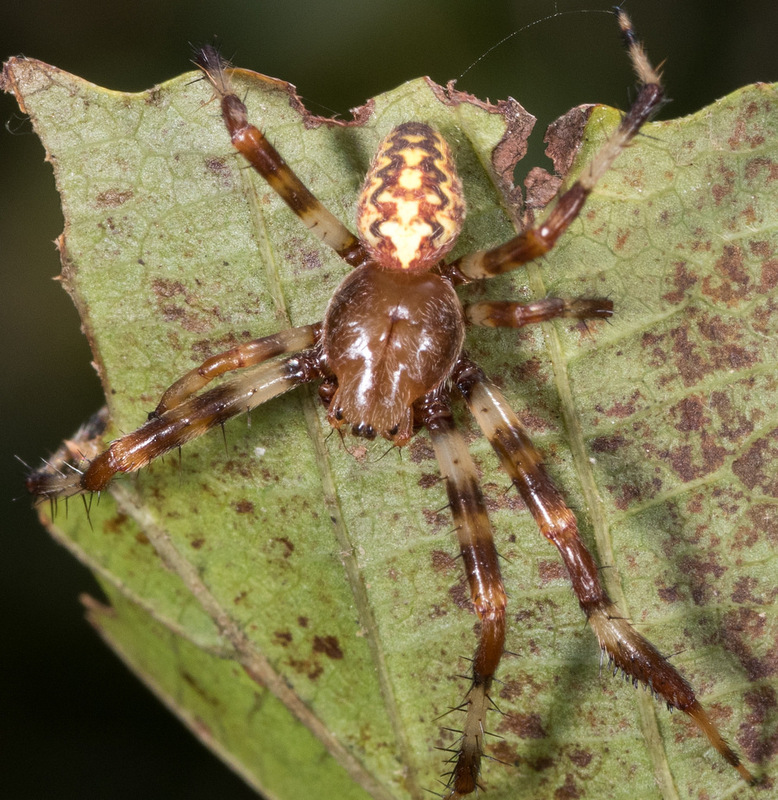 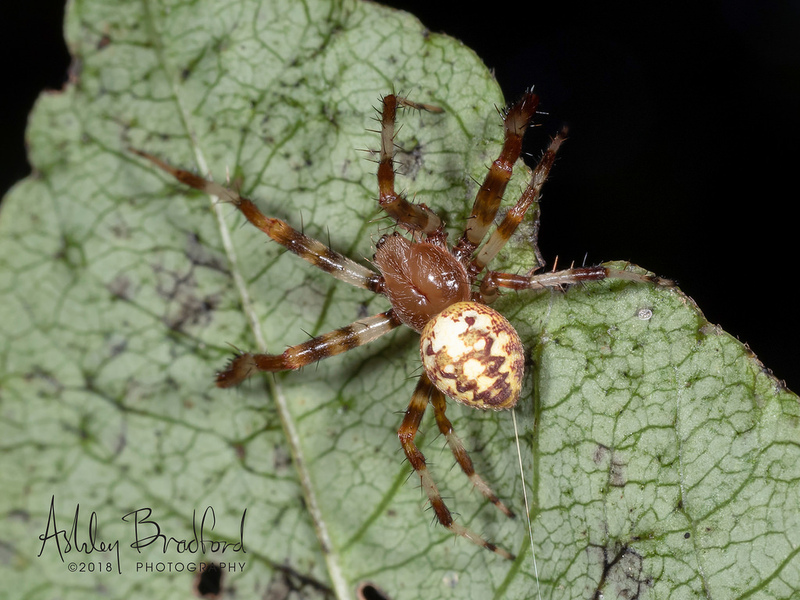 The Marbled Orbweaver is a common late season spider found in wooded areas throughout Maryland. 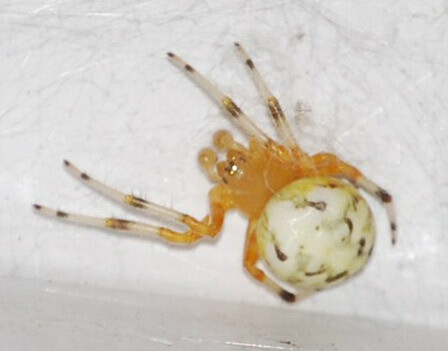 The large yellow abdomen with either black or orange markings is diagnostic. 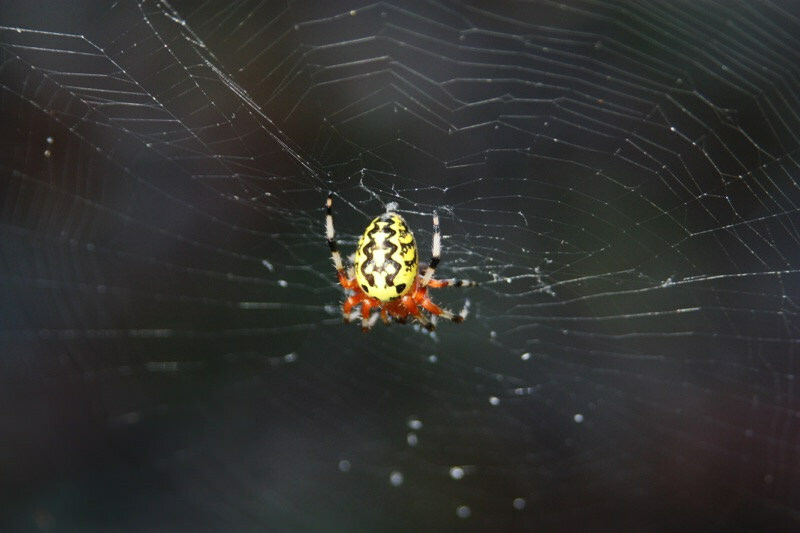 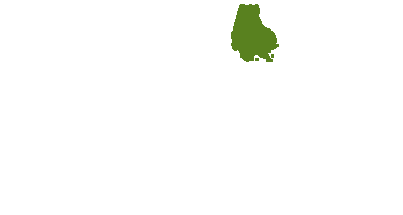 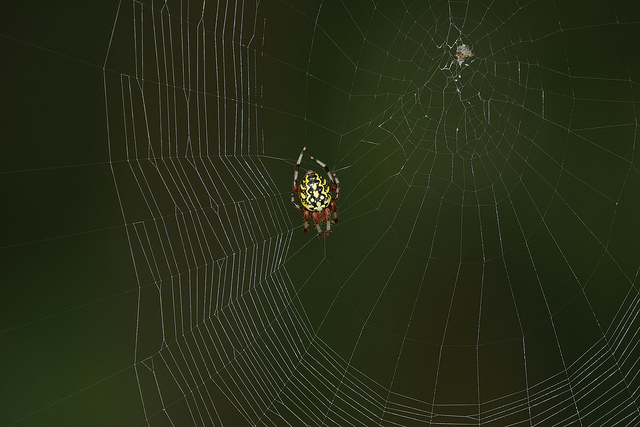 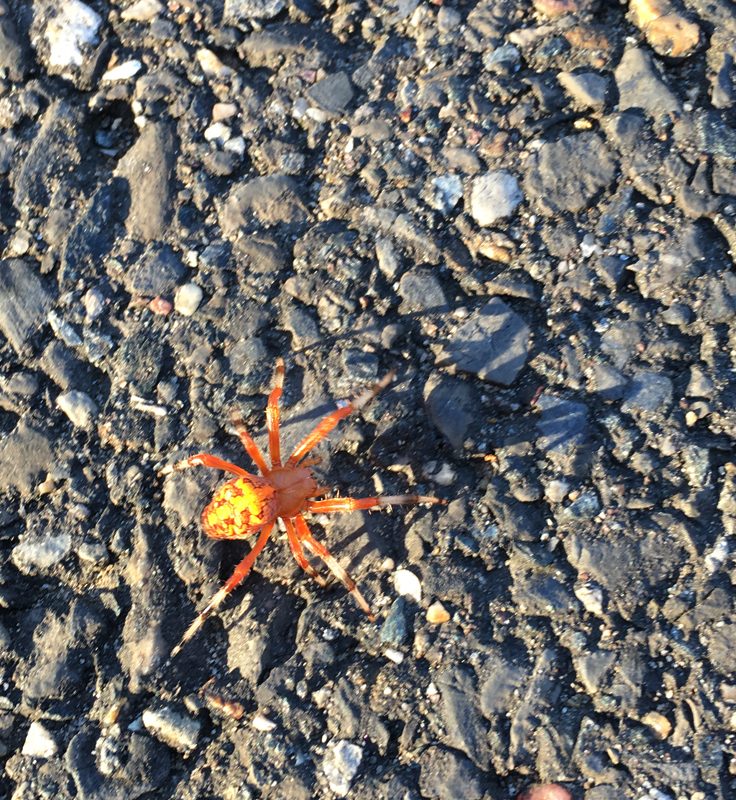 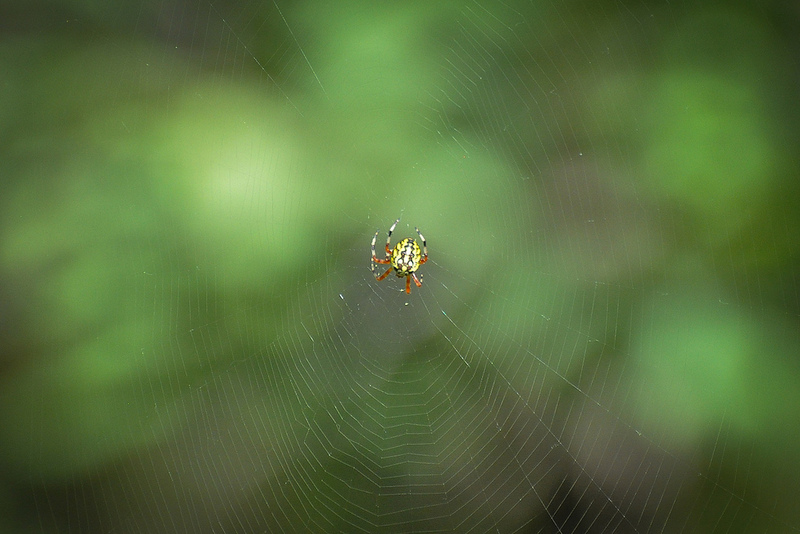 Male spiders are not often seen because they do not typically make webs. 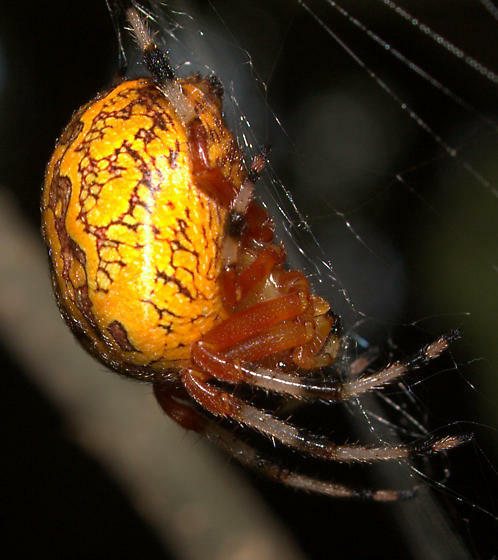 "Marbled Orbweavers build extensive orb webs but when startled they leave their larger webs to hid in small retreat webs usually well out of sight" (Richard Orr). 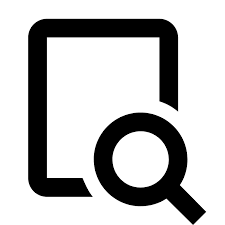 There are 91 records in the project database.